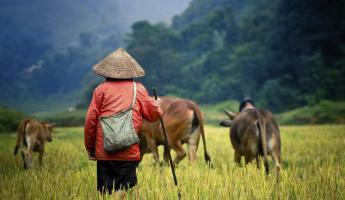 Vietnam has one of the oldest and most continuous histories of any nation. The area has been inhabited by some of the world's earliest societies. The needs to control flooding along the Red River and fight off invaders caused the inhabitants to form one cohesive government early on in 2879 BC. The region's elongated and unique topography allowed the successful defense of its borders from invaders over the centuries until it fell to Chinese control for 1100 years. During this time of Chinese influence, much of the native Vietnamese culture and heritage was lost or absorbed. During this same period of time, the Funanese and Cham civilizations also thrived in Vietnam. In the 10th century, native Vietnamese people began to take back and re-established a sovereign state. Ngo Quyen was the first King of Vietnam, reigning from 939-944. Then began a 1,000 year period of reigning dynasties which advanced the accomplishments of the independent nation once again. At various times during these dynastic periods, Vietnam succumbed to civil wars and interventions by the Mongols, Chams, Manchus, Dutch, French and Americans. The Ming Empire conquered the country for a while before native Vietnamese regained their sovereignty. However, the French Empire reduced Vietnam to a form of a puppet state of the French Empire for the next 100 years. This period was then followed by the occupation of the Japanese Empire. At the start of the 20th century, the ruling French found themselves consistently fighting over various factions to try gaining popularity and win back Vietnam. The French response to many of these citizen uprisings was to either exile or execute their leaders in order to keep them from gaining traction. With the growing influences of communism and Marxism in the region, three different communist groups also formed. However, these were eventually stamped down by the French. During World War II, Japan invaded Indochina and kept the ruling Vichy French administration in place as a puppet government. During this time, a man by the name of Ho Chi Minh began the Viet Minh Front in the northern Vietnam. This group was dominated by Communists whose goal was to regain Vietnam's independence. With the end of WWII and the age of colonialism coming to an end, Ho Chi Minh declared the Democratic Republic of Vietnam (DRV) and held the position of Chairman. In 1946, Vietnam held its first national elections which was won by the Viet Minh, and a new constitution was drafted. The situation was still precarious, with French and British attempts to assist the non-communist parties within Vietnam's borders in resisting the spread of the Viet Minh control. The Viet Minh still retained control, but failed to secure a peace deal with France. Full scale war broke out in 1946 as a result. France fashioned the State of Vietnam in the south allowing local leadership to institute its own semi-independent government. The Geneva Convention caused France to relinquish final control of all its colonies, leaving Vietnam as an officially divided nation. With the launch of a land reform campaign in the North that left tens of thousands of people massacred (mostly wealthy landowners and farmers), full scale war once again broke out between the North Viet Minh (Viet Cong) forces and the South. Thus began the second Indochina war, with North Vietnam Communist forces backed (by the Soviet Union) fighting against the South Vietnam Republic (backed by the United States). With the official end of the war in 1973 and the withdrawal of US troops, the North did not abide by the peace deal to hold elections to peacefully reunify the country. Instead, the North attacked the capital city of Saigon in South Vietnam in 1975. 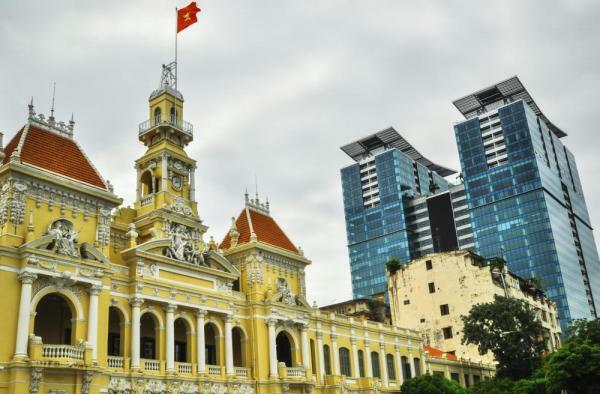 The city was then renamed Ho Chi Minh City in honor of the late leader who had died in 1969. The war was then officially over. The final death toll stood somewhere between 800,000 and 3.1 million with thousands more crippled by the effects of Agent Orange and napalm. 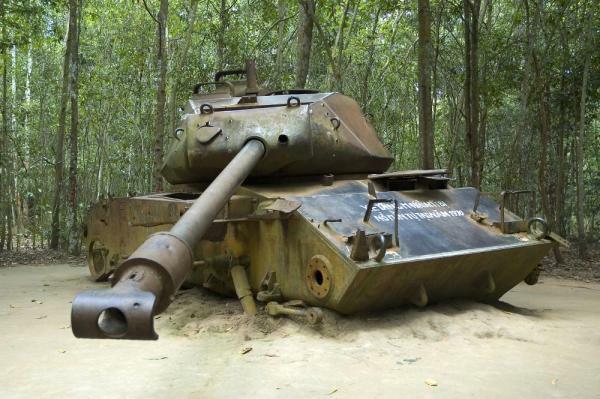 Post-war Vietnam was plagued by economic and social woes. The two factions were still not coming to a reunified state, and millions of people were imprisoned for their views. To top off the economic woes, the Khmer empire from Cambodia began to attack, followed by a Vietnamese counter. This was followed by an invasion from China, which did not like Vietnamese policies nor the fact that the Soviet Union was such a close ally. Post-war sanctions and re-education efforts, such as forced cooperatives for farming, further pushed Vietnam's economy down until it finally collapsed in the 1980’s. Seeing that its policies were not pragmatic or helpful, a series of more progressive leaders began to move Vietnam toward gradual change in the opposite direction. They worked to combine divergent views of pragmatists and communist traditionalists. In the 1990’s, private farms and plots were allowed, and the re-education efforts and cooperative push from the government were discontinued. The economy then began to turn around and diplomatic and trade channels with western nations were re-opened.